Located on the west coast of British Columbia, Vancouver is a busy seaport 2,090 miles from Toronto, popular for movie making, with a thriving music, art, and theatre industry. One of the most diverse Canadian cities in terms of ethnicity, its green spaces include the 1,000 acre Stanley Park, with beaches, pools, playgrounds, trails, forests, and the Vancouver Art Gallery all enclosed by a pedestrian seawall. Consistently rated as one of the most liveable cities in the world, it also appeals as a place to invest, work and do business. During 2017, Vancouver will continue to lead Canada in economic growth at around 4%, mainly driven by the construction sector. The city is a major attraction for those wishing to travel. The many tempting options including skiing and snow sports, shopping, beaches, islands, markets, a vibrant night life and sublime dining. Discover Granville Street, a neon-lit party area. With an abundance of clubs, pubs and bars that rock until the early hours, it appeals to the young-at-heart and even the not-so-young. Yaletown was once a warehouse area downtown, but has been revamped and is frequented by an older crowd. Gastown is also an improved area, but with cocktail and wine bars, beer halls and Irish pubs, with some of the hip and cool restaurants transforming into de facto bars in the later hours. Kitsilano is more laidback, with bistros, sports pubs, and smaller restaurants in abundance. The many daytime activities include Granville Island, which is popular for arts, crafts, and supermarkets. The food fair offers value for money and there is a resident brewery. With great picnic areas and outdoor spaces, there are nearby mini-ferries to transport you to other Vancouver attractions on False Creek. English Bay is a major tourist spot and is west of False Creek, near the West End in the downtown area. It is a popular swimming and sunbathing beach, with gorgeous sunsets. Sunset Beach and Second and Third Beaches face English Bay. Kitsilano, Jericho, Locarno, and Spanish Banks beaches are close by and face English Bay. The water is too cold for most to swim, but some brave souls venture in for a few minutes. The mountains are the highlight of tourism in the city. A variety of the best winter sports attracts tourists in their thousands. Activities from skiing to snowboarding ensure that there is plenty of choice for the avid sportsperson, with all the facilities required. Mountain ranges such as the Lions area, Grouse area, Cypress group, Britannia Range, Cathedral/Lynn Range and the Fannin Range are all magnificent and picturesque. 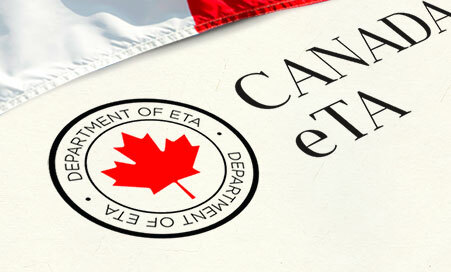 For those travelling to Vancouver and the rest of the country, ETA Canada is an electronic travel authorization system for visa-exempt foreign travellers arriving by air. An application is done online and the form takes a few short minutes to complete and submit. It is valid for five years and for multiple visits.